Most people with serious money problems do not intend to be in debt, they just end up there. Sometimes it’s the result of medical expenses or unemployment. Sometimes it’s poor money management. In every case, the way to fix your money problems is not just to eliminate what you owe, but to also address the issues that put you in debt in the first place. 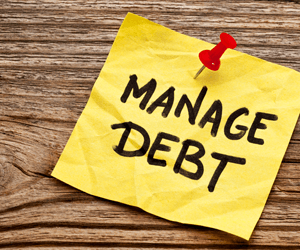 Click on the video below for some helpful tips on managing your debt.